Our fabrication facility in Minnesota is home to a tightly-knit team of skilled artists and craftsmen who are dedicated to producing the highest quality, most creative, unforgettable exhibits for our clients. Extinct animal reconstructions for Hall of Natural History in historic contemporary museum complex. Full design and build project to reinvigorate a beloved public resource. 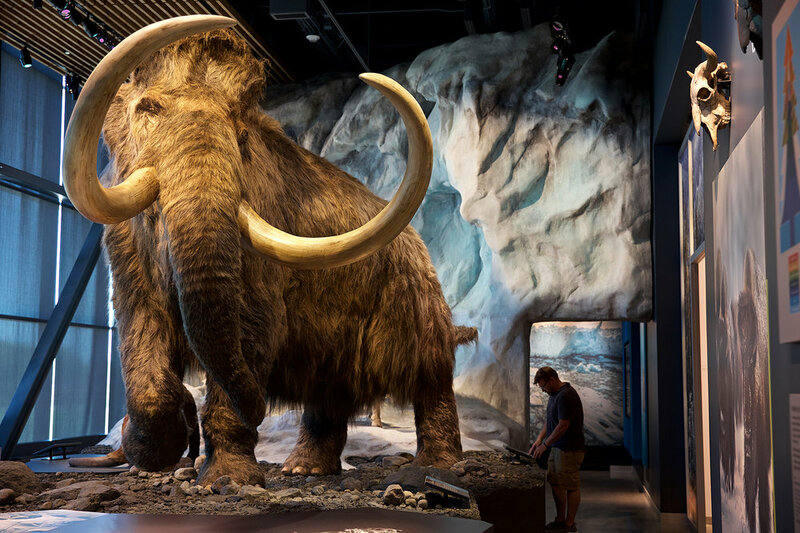 Gigantic immersive dioramas adorn this new permanent exhibit at the San Diego Museum of Natural History. Flock of flying pterosaurs installed permanently in the newly renovated Stanley Field Hall. 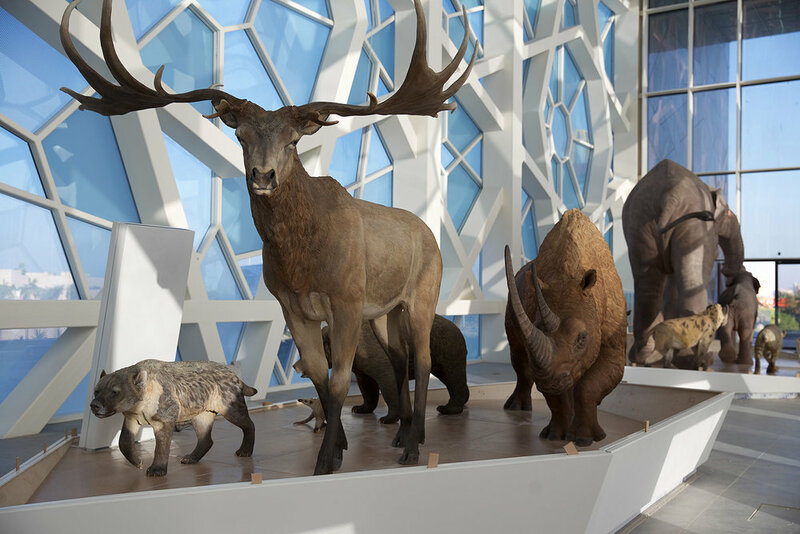 Pleistocene glacier and megafauna reconstructions for permanent Tree of Life exhibit in brand new state-of-the-art museum. A design and build project with serious steam-era industrial flair, loaded with interactive exhibits. 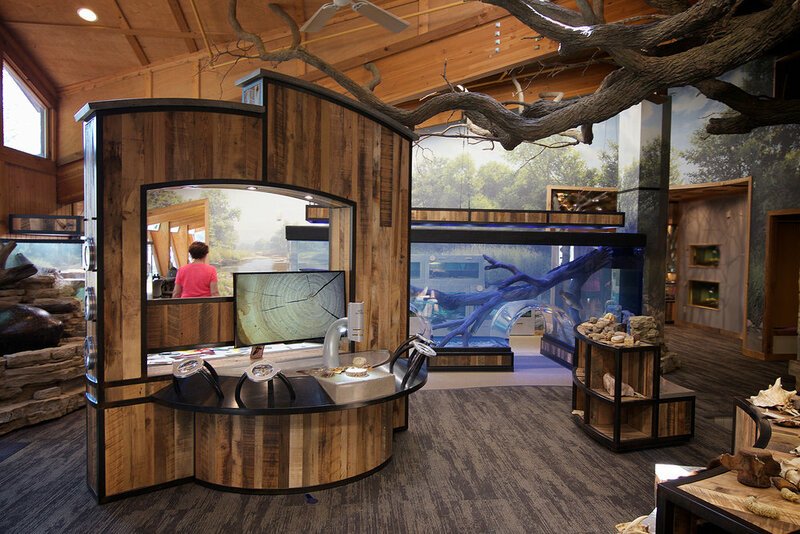 We are internationally-recognized for designing and producing the best quality high-end exhibits for museums, zoos and visitor centers around the world. To view an eclectic mix of new and old creations, visit our Gallery. The basis of our success is the shared experience of our talented master craftsmen and women. No project is impossible with the right people on the job. We have been creating some of the most outstanding exhibits around for more than 20 years! Trust in our skill and experience to deliver the best results.